David White was born in Harare Zimbabwe in a family of artists of different talents. One of his brothers is a guitarist with a popular group. He went to school at Gunguwo Primary at his rural home in Chiweshe, north eastern part of the country, abundant with serpentine. 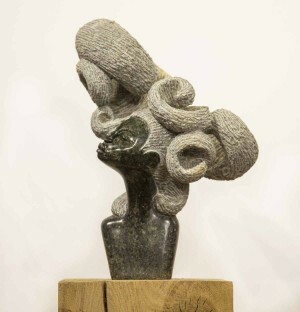 There he was introduced to stone sculpture by local artists, at the tender of ten years in 1998 and he instantly decided to make this his life career. Noticing his talent John Nyakusengwa took him from Chiweshe to Harare, Glenview as an assistant where he was exposed to this vast field of art. 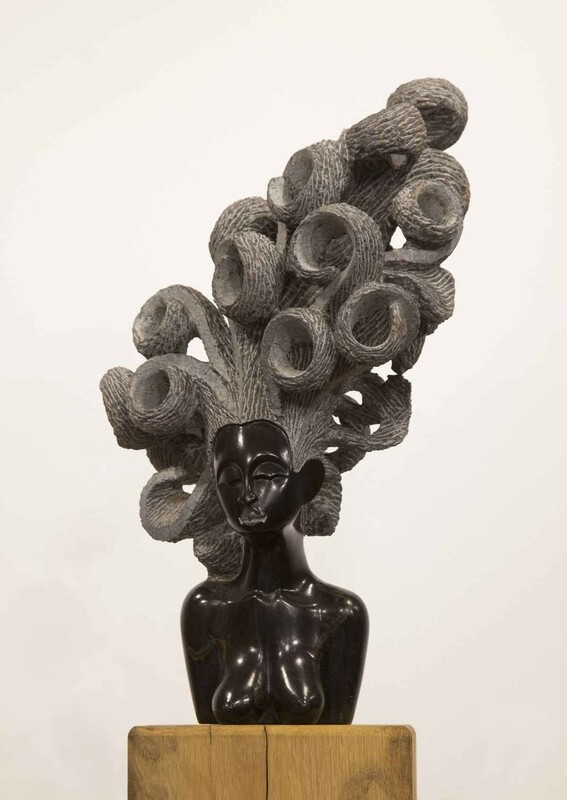 He then moved to Sam Kuvhenguhwa whose tutelage finally shaped him (David) into such a powerful artist that he is. With his experience he has managed to develop his own style majoring in creations of human heads focusing on the shear beauty of hairstyle. The curls of hair express extraordinary femininity that is his trade mark.